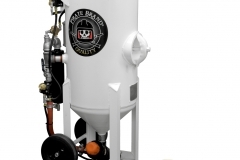 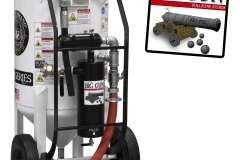 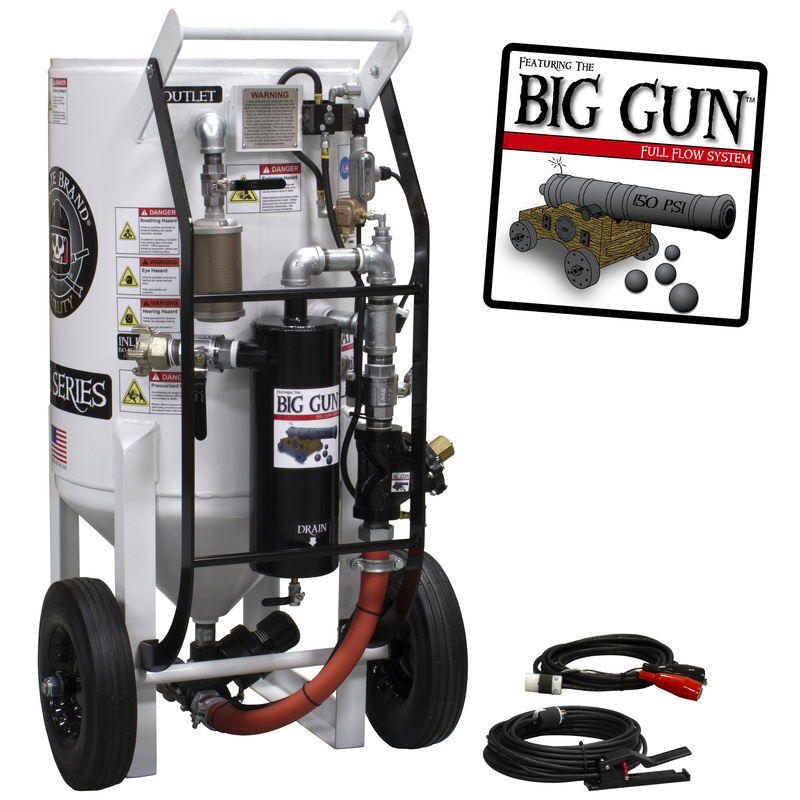 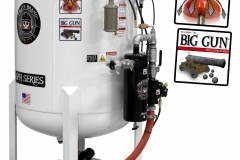 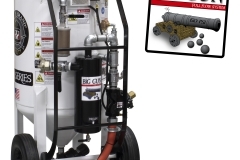 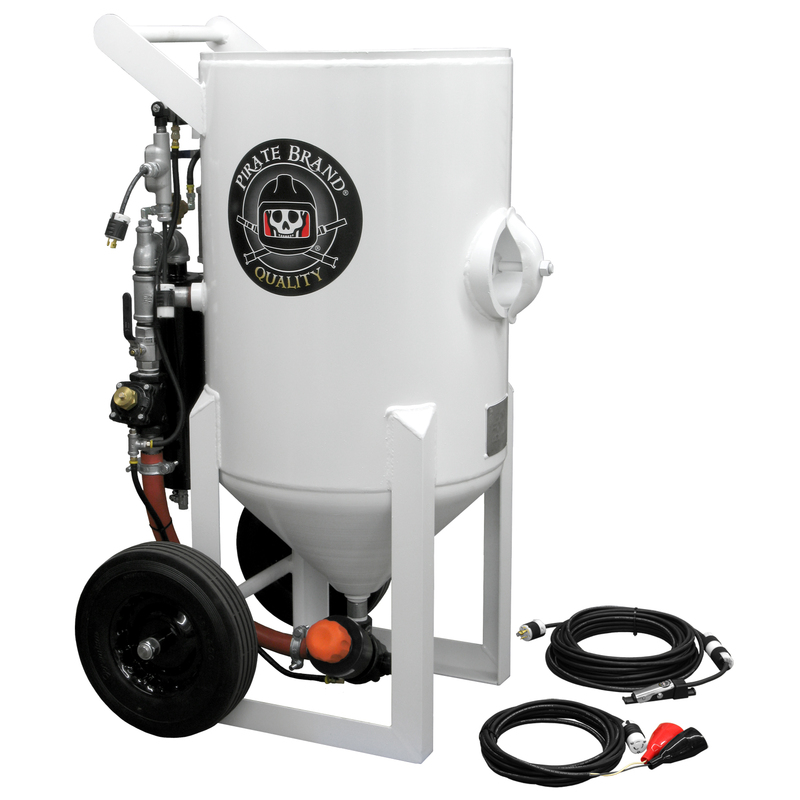 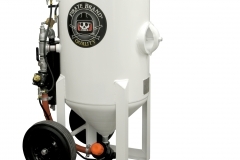 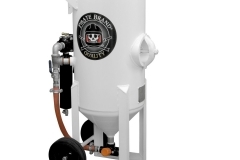 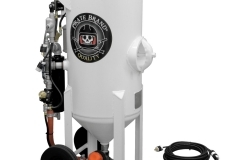 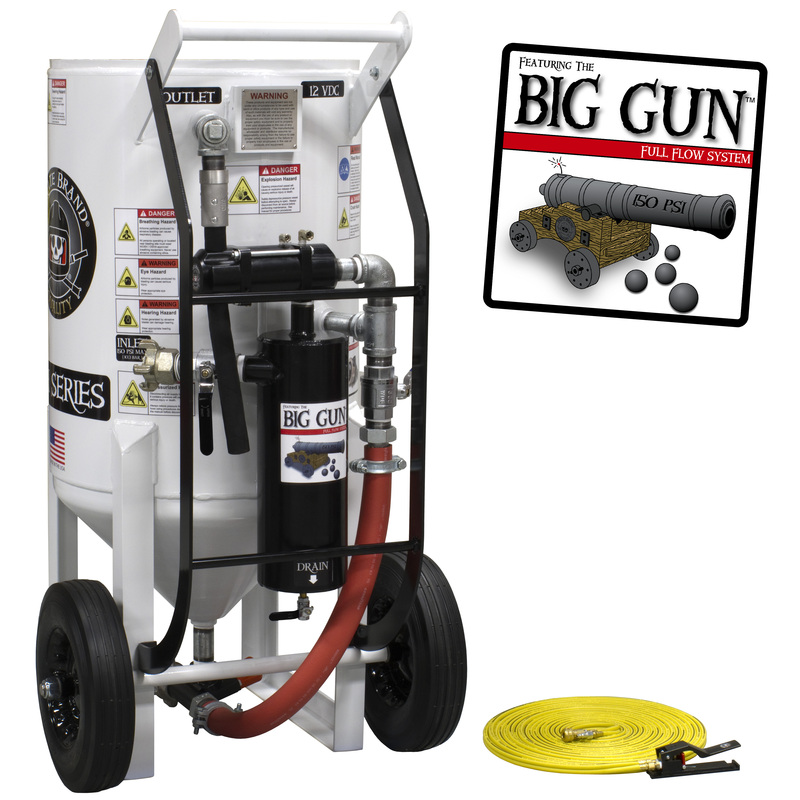 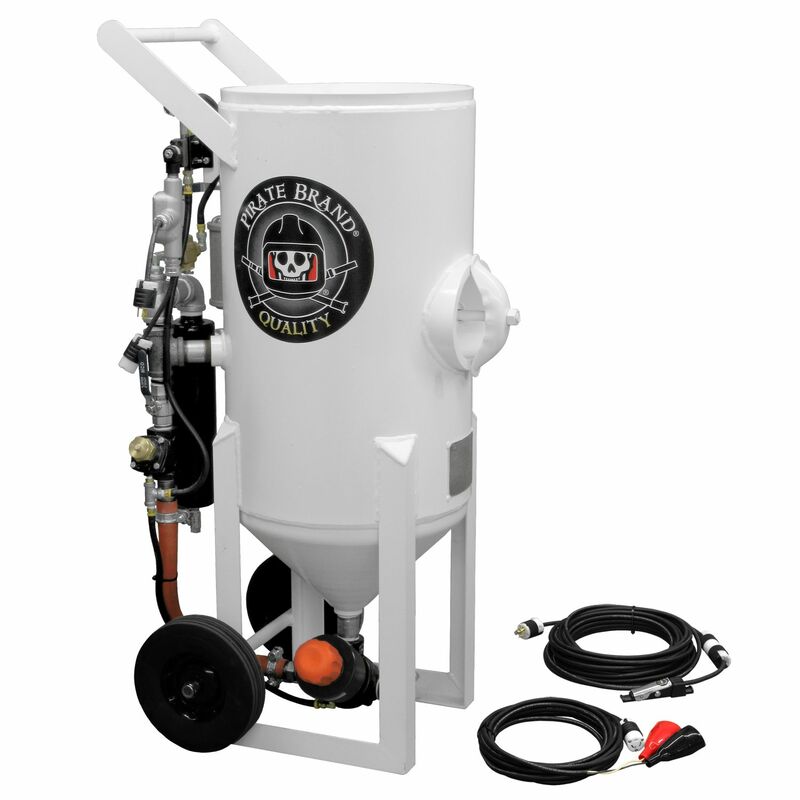 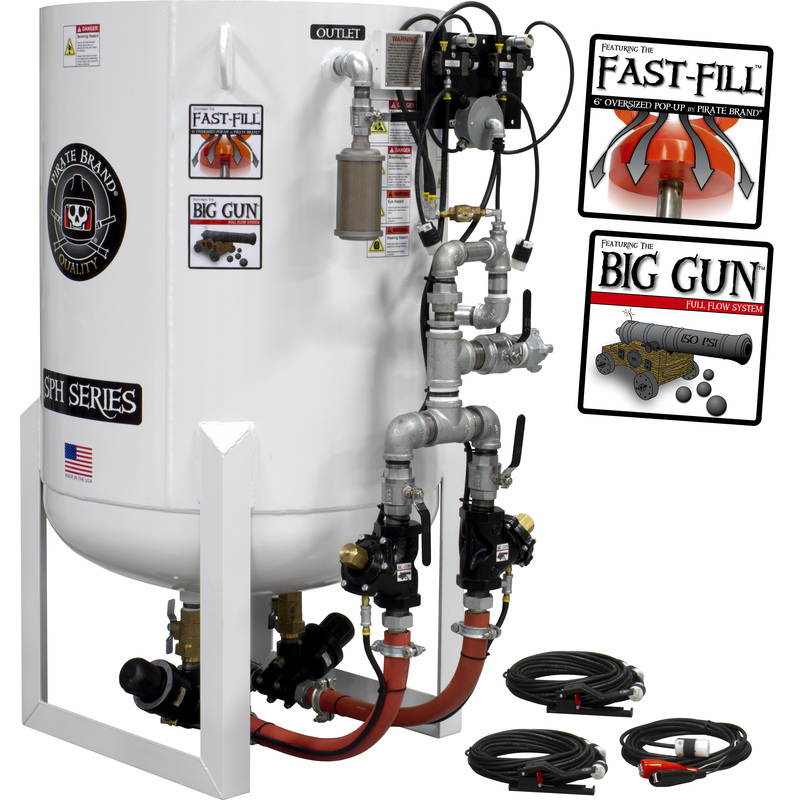 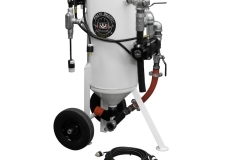 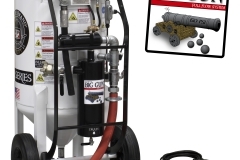 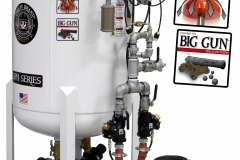 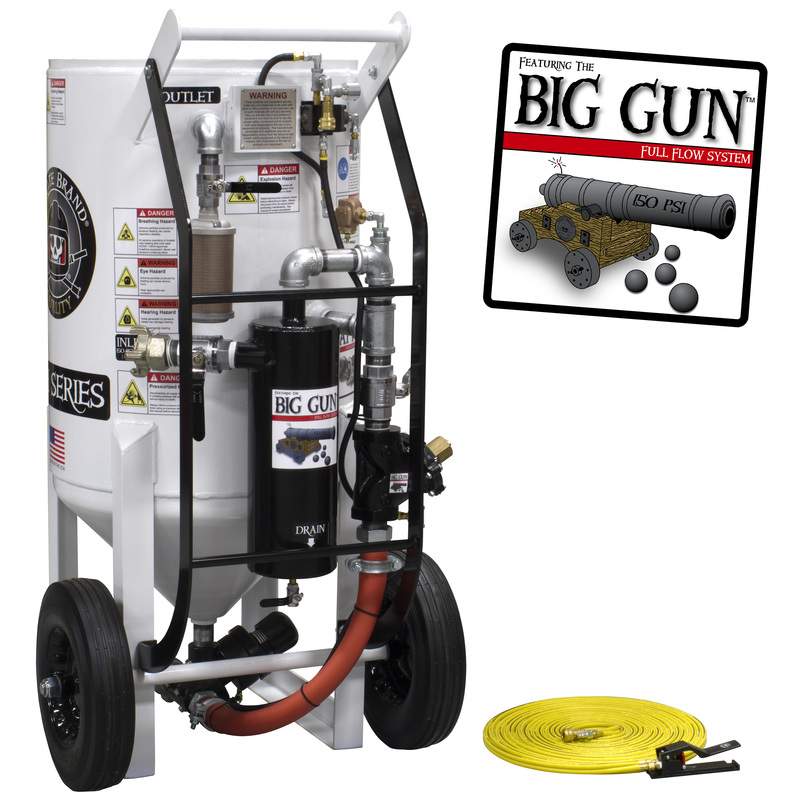 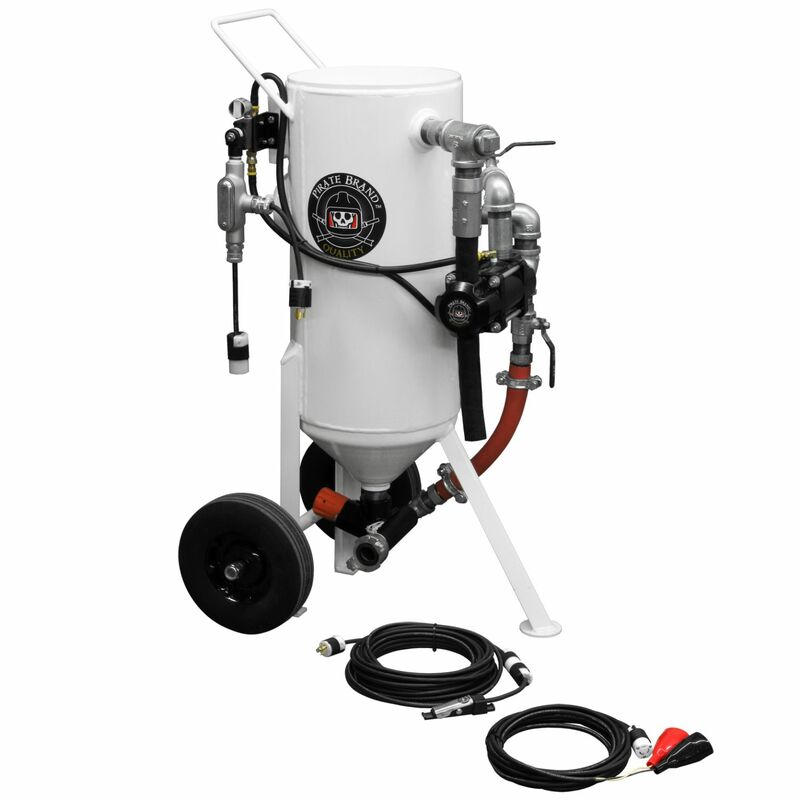 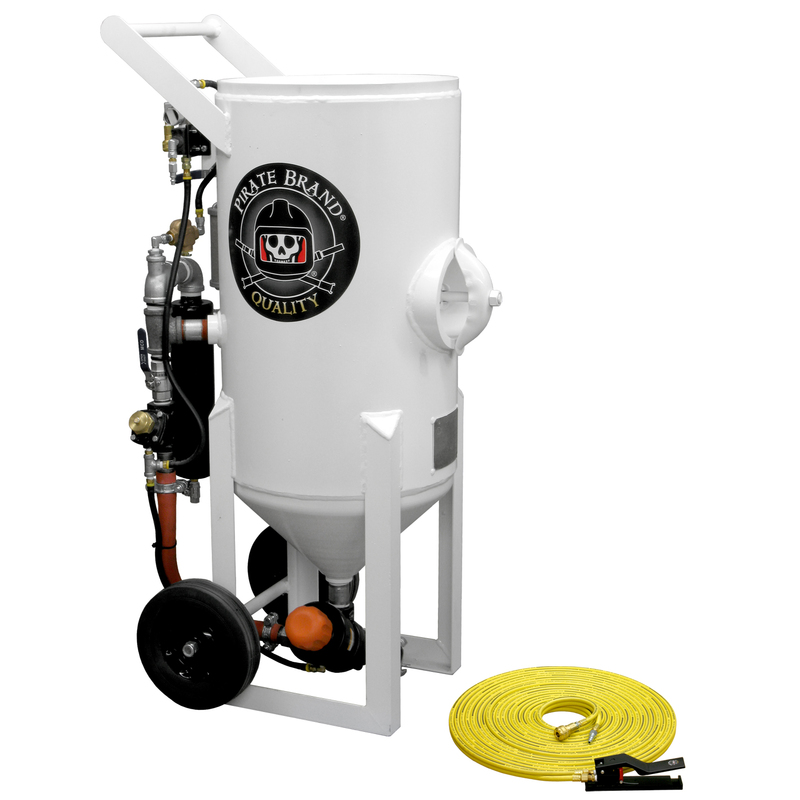 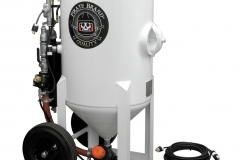 Forecast Sales Inc., the home of Pirate Brand® equipment, manufactures a complete line of blast machines that utilize the industry’s most proven sand and air valve technology. 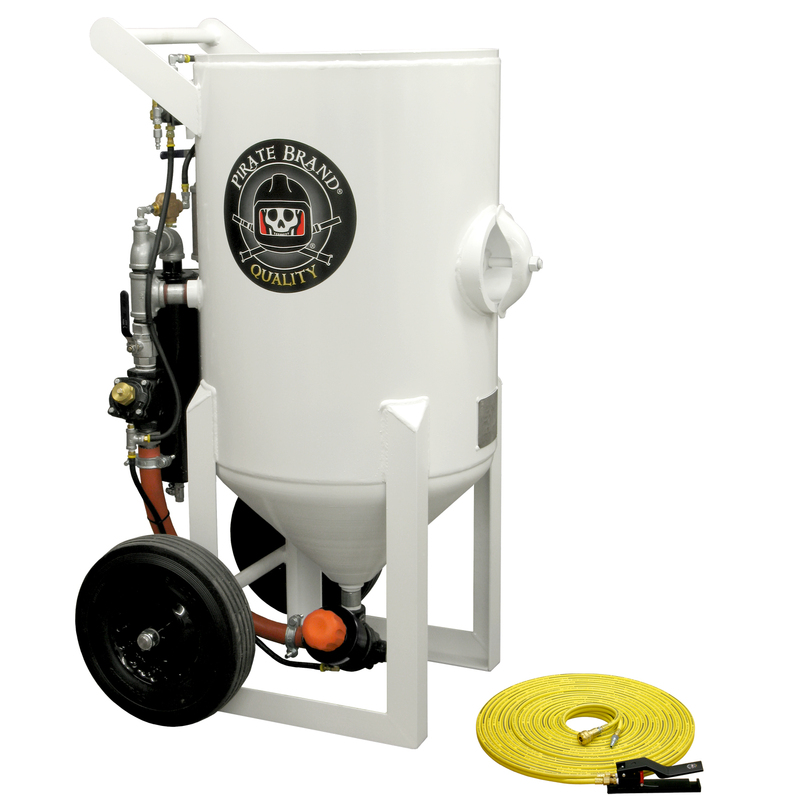 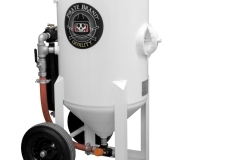 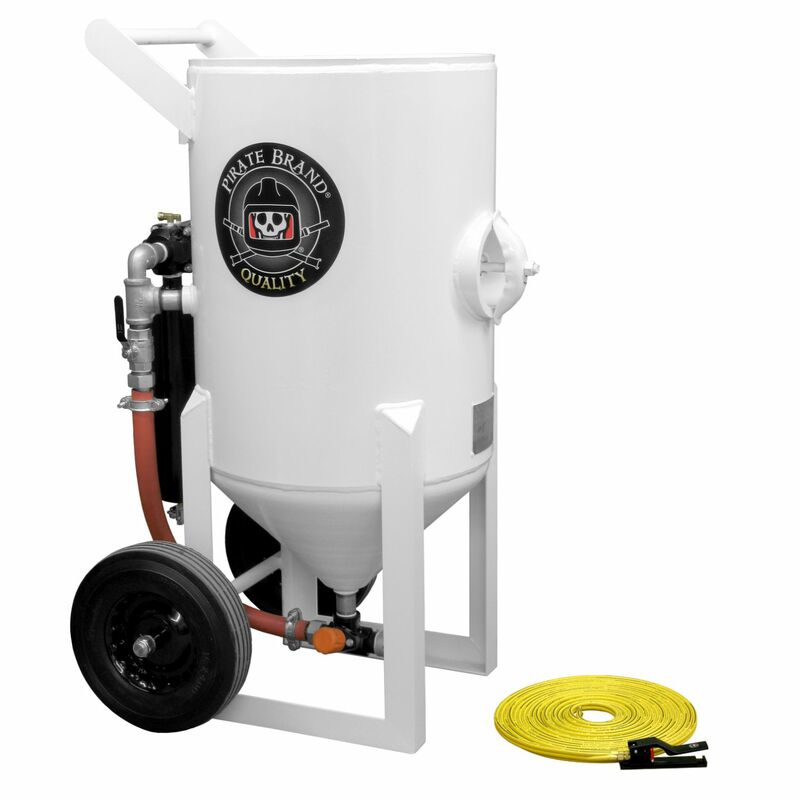 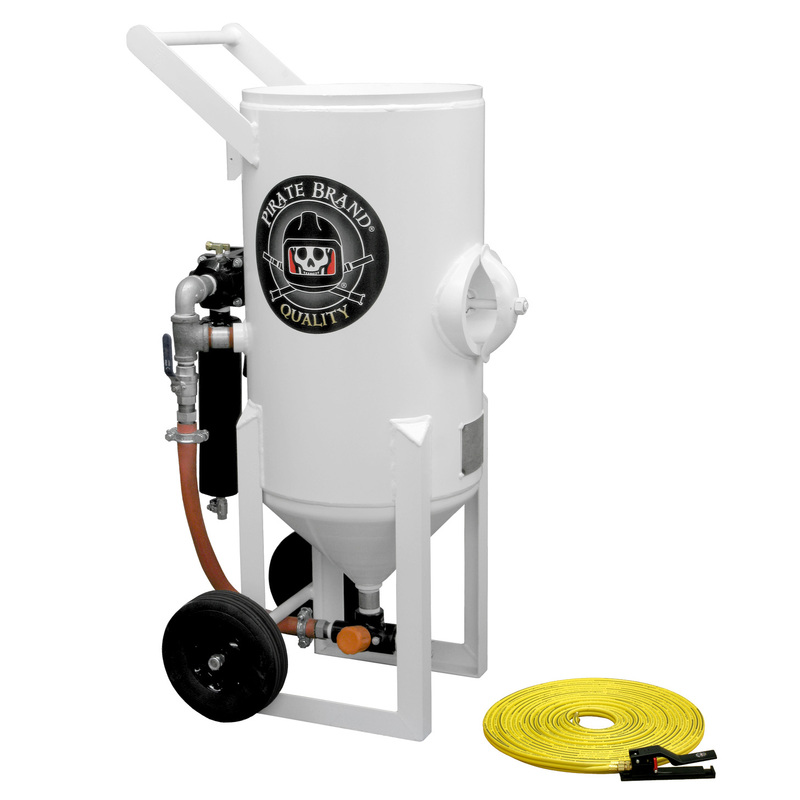 We carry their complete offering of portable, stationary and towable small and bulk blast pots all of which can be built to meet your specific application. 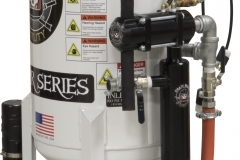 All machines are manufactured in the United States and come standard with 5 or 10 year warranties. 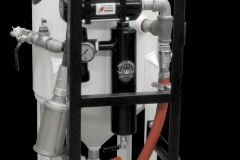 The machines below are pictured in both pneumatic and electric configurations. 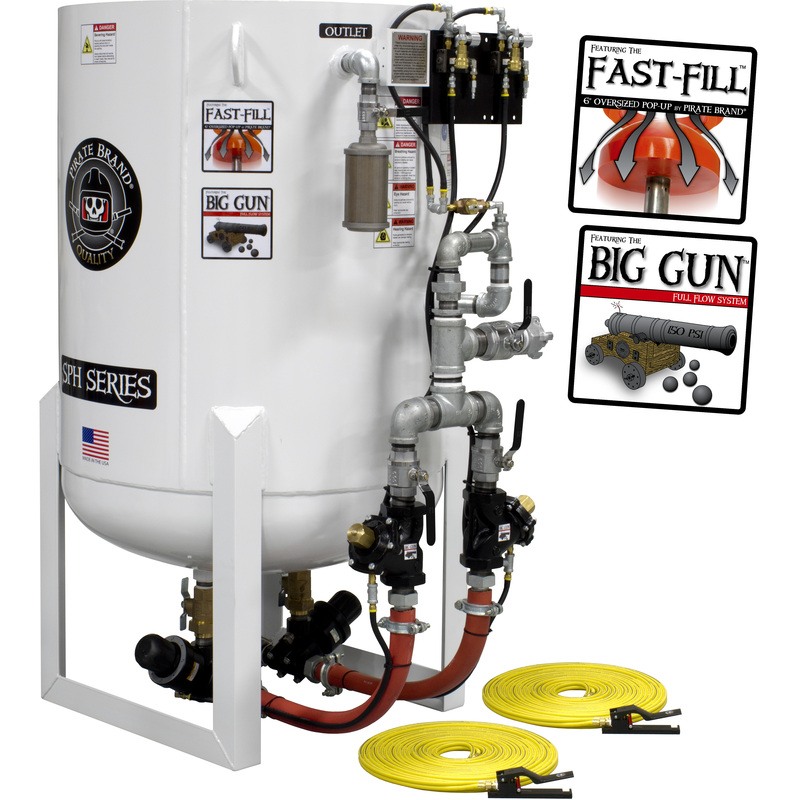 Consult the “S-Series” brochure below for all the available options. 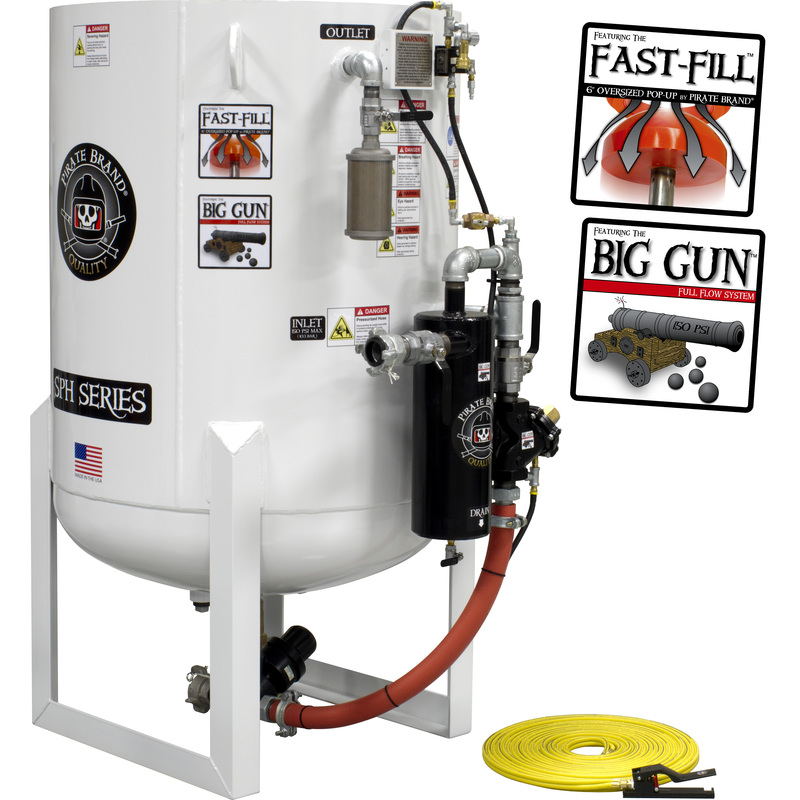 Forecast’s 10 & 20 CU FT machines feature the same quality construction of the smaller machines in their line-up with the added benefits of increased capacity and an available second outlet. 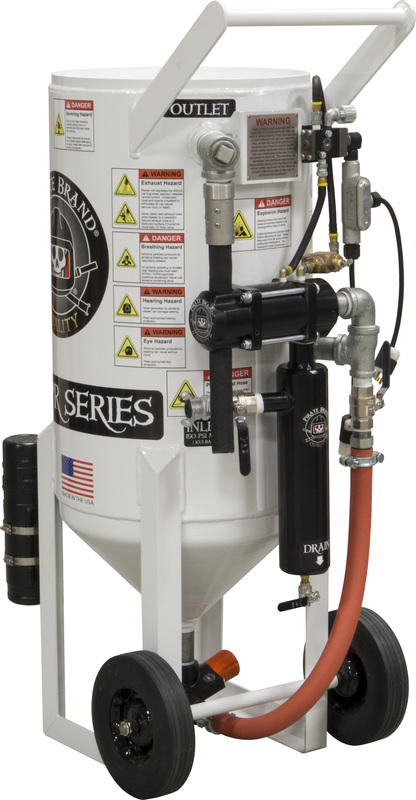 Loading more material and having the ability to run two nozzles simultaneously will reduce downtime and significantly increase production. 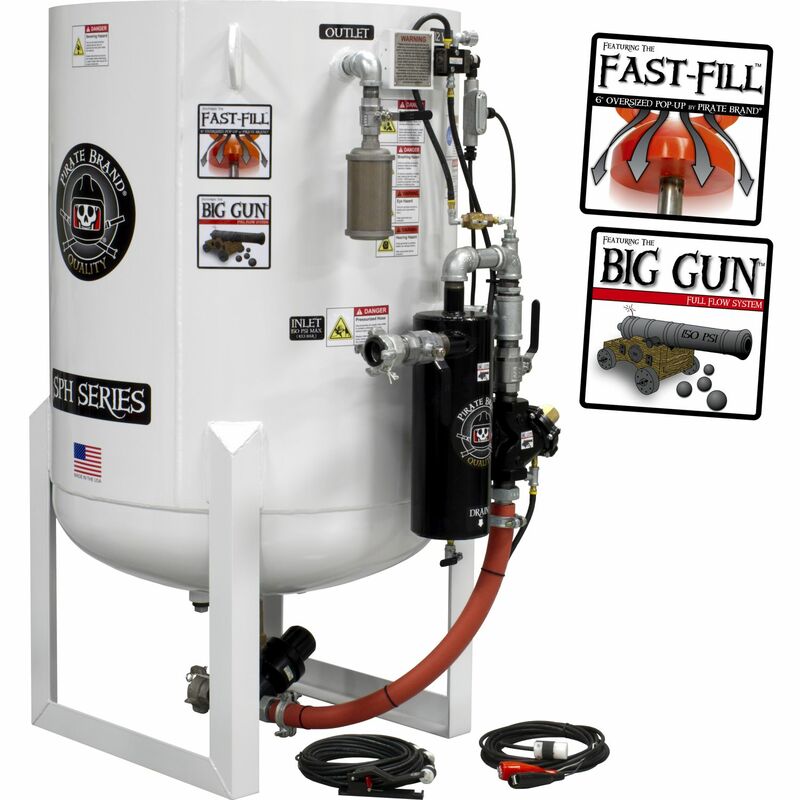 20 CU FT units can be outfitted with a bulk bag rack for easy loading of bulk material. 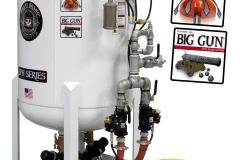 This allows you to take advantage of cost savings on bulk bag material while reducing potential injury to operators by eliminating repetitive loading of heavy bags.